Today we bring you another Stamp Highlight and it's oh so cute! These Reindeer from Little Reindeer Agenda have taken over my craft room! 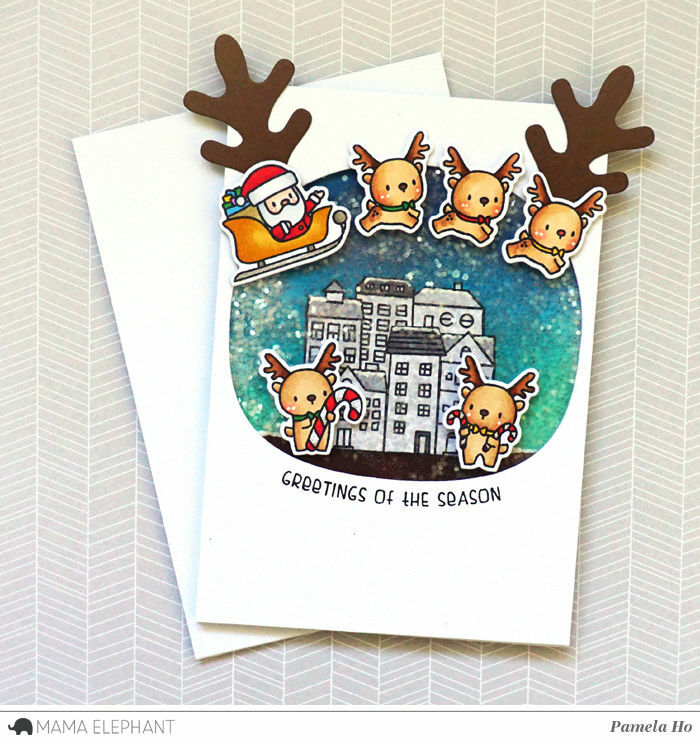 Pamela created this fun reindeer shaker card. Wow, that's a lot of reindeer here! Amy stacked all these cuties to make a reindeer tree! Can't sleep the winter night? Anna created the card that will help you! Just count these little sweet reindeer jumping over a fence. We love how Deasy created a happy shaker card! The reindeer have so much fun welcoming Holiday's Season! 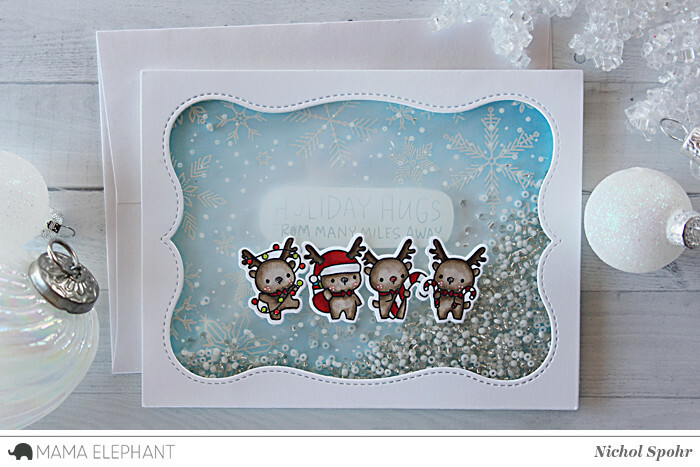 Holiday hugs from these little reindeer make for a snow fun shaker card! Oh how fun and so many cute little reindeer cards! Oh my gosh !! 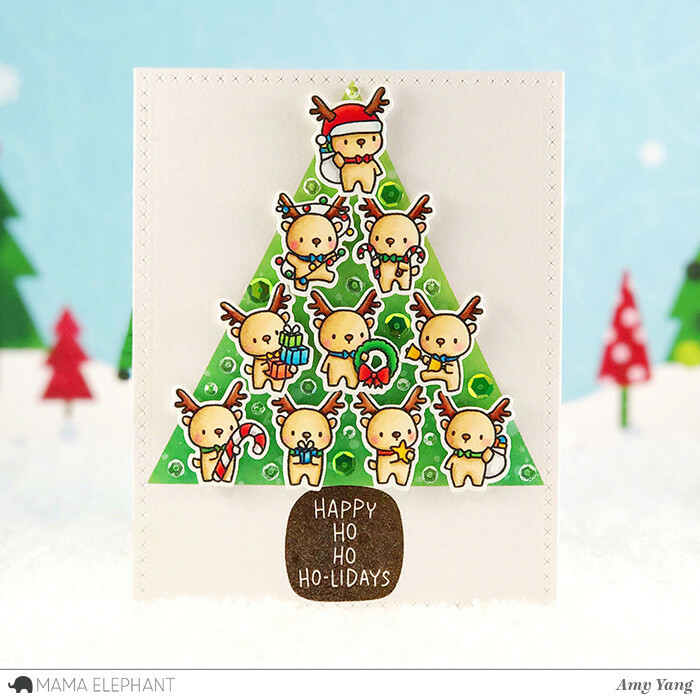 The Christmas tree made with these reindeers is the cutest !! So how cute are these cards? Way too cute!! I have seen quite a few Christmas cards with 2017 collections from many companies, but so far I have no urge to make any of the designs shown. All of these are winners hands down. I hope they will eventually come with how-to's, or even videos. Thanks for sharing. Those deer crack me up and I love what all the designers have done with them. These little ones just make me smile! I got mine today and I squealed! These are Crazy CUTE!!! I can't wait to get mine!!! Oh my gosh I love these cards. I just ordered these little reindeer today from SS (only cause I had gc). I cant wait to create with them. These cards are so inspirational. Thank you Mama Elephant for having such cute stamps. OMG - these are all so freaking CUTE!!! Get your hands on online casino games and win real money. Service with integrity, international standards Gclub69 you can play anywhere you want. Play baccarat online. With simple steps Just a few steps We are ready to welcome and advise you all the time. Just contact the Call Center for installation instructions or how to play the game. Golden slot Only you can join us for the Six Clubs. There are also free promotions for new members. Online casinos to win big online. The ready to help everyone fun game. Can join to create extra money from online gaming. The game is ready to help all customers can come to create the demand for online games with all the satisfaction of many. สล็อต To many online gambling customers, many gamers have come to play online gambling. As well, we also have the prototype of online gambling games are very convenient for gamblers to gamble online games with great fun.